Aussies probably already know that the scratchies bought in their local store only have a certain number of winners. If the card with the largest jackpot has been sold already, then you have no chance of winning the biggest prize in that series of cards. This is a major drawback to live punting on scratchies, because you never know when you’re playing without a chance to win the largest prizes. On the Internet, that problem doesn’t exist. Each time you play, it’s like the series has started over. You have an equal chance of winning the top prize each time you restart with a new virtual card. Never do you play without a chance at the jackpot. The house edge in gambling refers to the size of the advantage a gambling operator has. Every gambler knows (or should know) that probability favours the casino or lottery operator. This allows the business to run a profit and continue providing their service to the gaming public – that is, to offer the entertainment of gaming. Gamblers are willing to deal with playing at a disadvantage if the reward is big enough or if the odds against them are low enough. The rough formula in betting goes: the bigger the reward, the higher the odds against you are. Lottery games offers the biggest jackpots in gambling, so they often have the biggest house edge. A big lotto game like Powerball, Super 66 or Oz Lotto has a huge house edge, often in the 30% to 40% range. By way of comparison, blackjack might have a house edge less than 1%, baccarat or craps might have a casino advantage of 1.40% or so, and pokies usually have a house edge of about 5%. 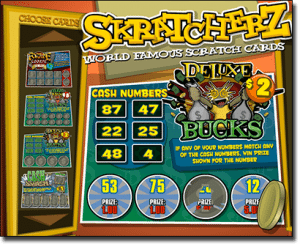 Land-based scratchies, because they often pay out big jackpots, tend to have a high house edge. Online scratch-card providers, on the other hand, tend to offer better odds than the land-based stores. The costs of providing the game are lower and the number of competitors looking for gamblers is greater. For these reasons, you’ll find the online scratch cards have a lower house edge, which means, all things being equal, you’ll be able to play for less money. The phrase “all things being equal” is important, because the circumstances of play aren’t always the same on the Internet. Luckily, you can control those circumstances. Read on to see how. Virtual scratch-cards can be played one of two ways. On the one hand, you can move your cursor to the various scratch-off surfaces on the screen, click a button, and have the prize underneath revealed. Or you can dispense with the formality of scratching the card and simply have the outcome revealed instantly. 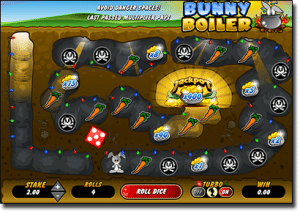 This sounds like a convenient way to gamble electronically, but the instant and automatic results greatly increase the speed with which the game is played. Remember, you play at a disadvantage, so the more games you play an hour, the more money you’re likely to lose. Don’t get lazy and use the auto-play mode, because it can cost you a lot of money. We Australian players have a wide range of Web-based casinos which accept our business, and the best ones are powered by the most reliable and trusted gaming software companies: Microgaming has established a reputation as the leading Internet and mobile software provider, and for good reason, but other companies such as NetEnt, BetSoft and NYX Gaming are now competing to offer the most innovative and entertaining real money scratchies and other games across the Web. Fortunately for us, we are spoilt with choice with sites like Casino-Mate and Royal Vegas hosting 500+ Microgaming titles, while G’day hosts a catalogue of titles from not just Microgaming, but other designer companies, too. Mobile gaming is becoming more and more accessible and thorough each day. Playing on-the-go is convenient and enjoyable. 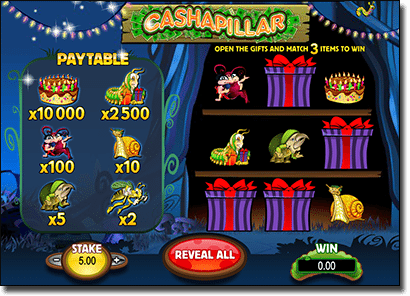 Smartphones and tablets with operating systems such as Android, Apple, Windows as well as Blackberry phones, and more, are all compatible with the above casinos – we simply access the sites on our device, and are automatically and instantly directed to the mobile version, where we can start playing for real money. These are just some of the scratch game titles offered from Microgaming, there are many more out there from multiple software developers. Each title has its own theme, cost, prize amount, artwork, and game play. Try out a number of different cards before you settle on your favourite game. Because (even non-auto-play) games are quicker and easier than what you would find in a brick-and-mortar setting, you’ll probably end up trying out a number of different games in one session to get a feel for online play. Remember these games happen as quickly as the pokies, so pace yourself and take frequent breaks, so you can reassess how much money you have in your bankroll. For instant-play scratchies and other casino games, we recommend checking out Raging Bull Casino, our top-rated casino site for players from United States.